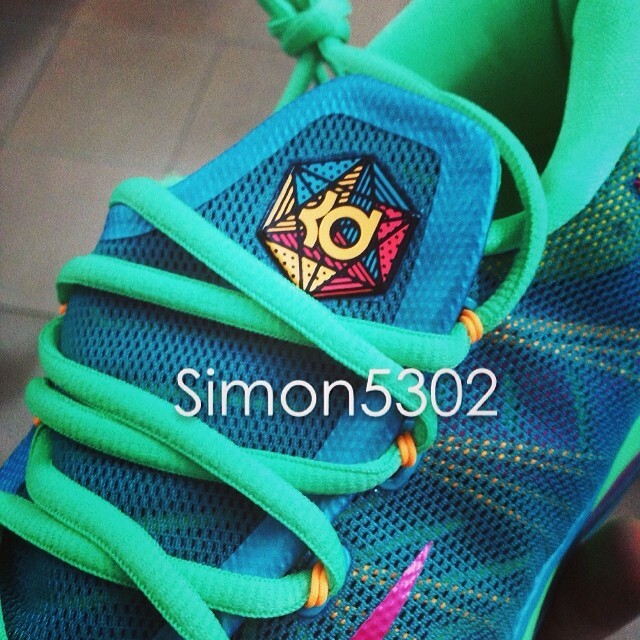 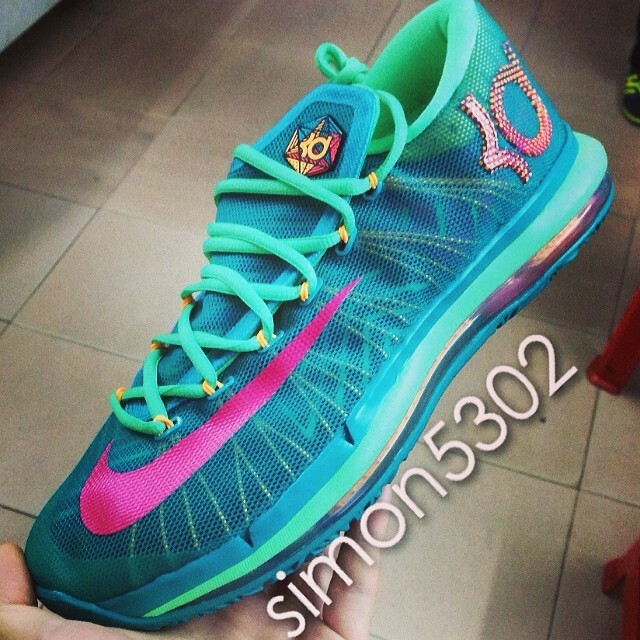 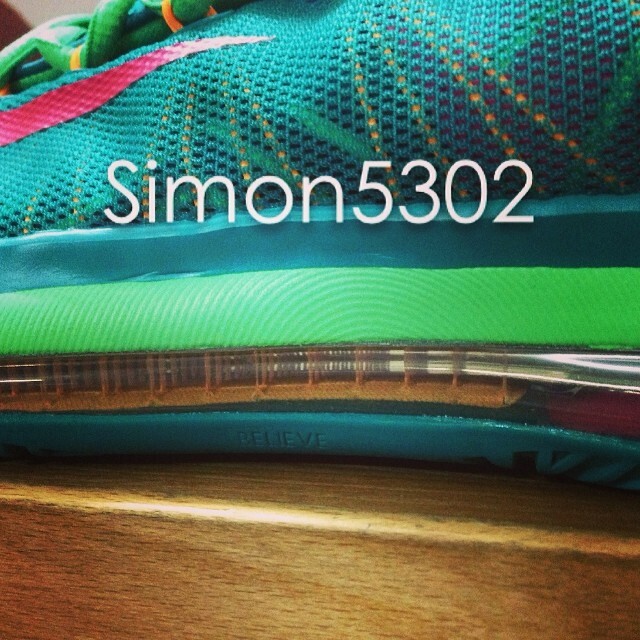 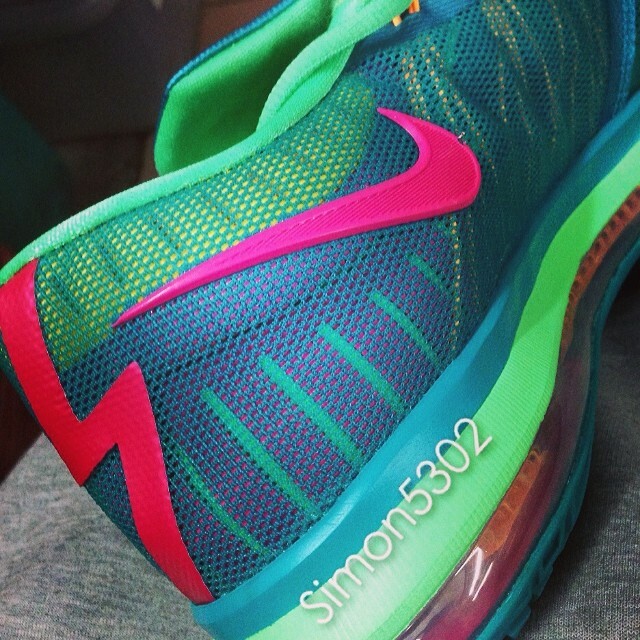 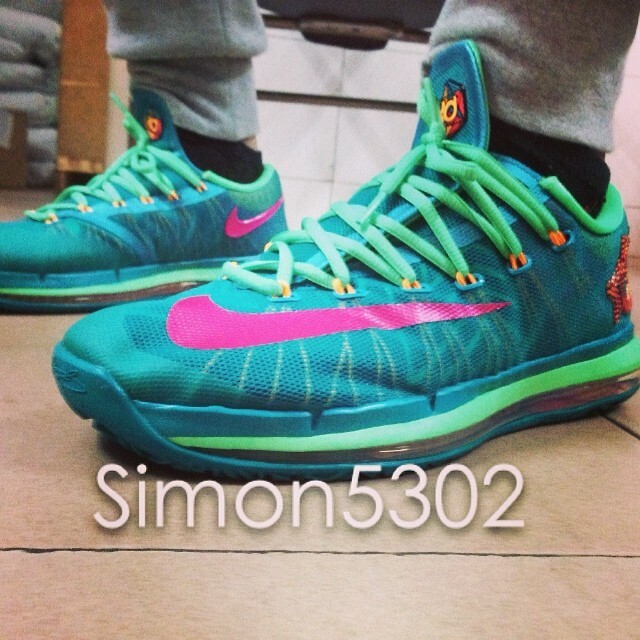 Today brings us a look at a second colorway of the Nike KD 6 Elite, this pair decked out in Turbo Green. 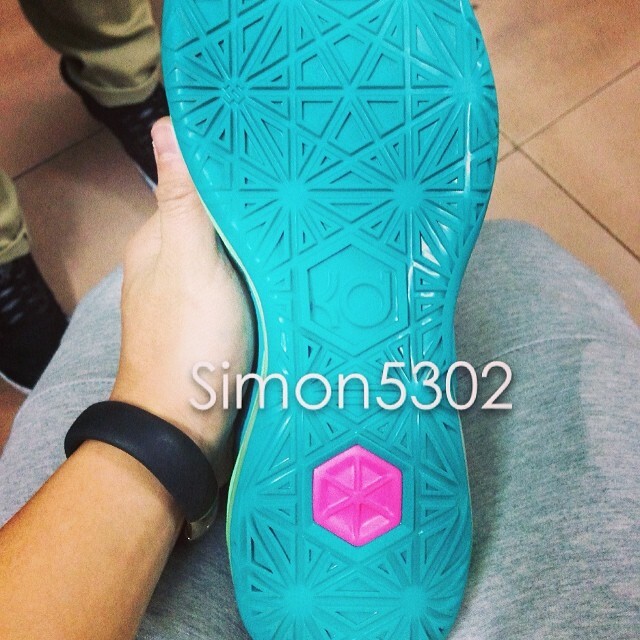 Varying green tones do the job on the shoe's mesh constructed upper, with yellow taking care of the Flywire and sharing the logos with pink. 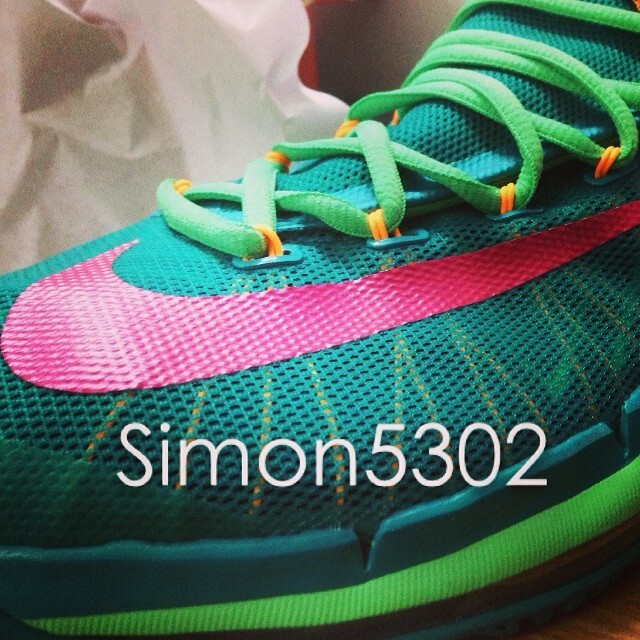 Pink also fills the forefoot Swoosh and full-length visible Zoom bag, which sits atop a green outsole. 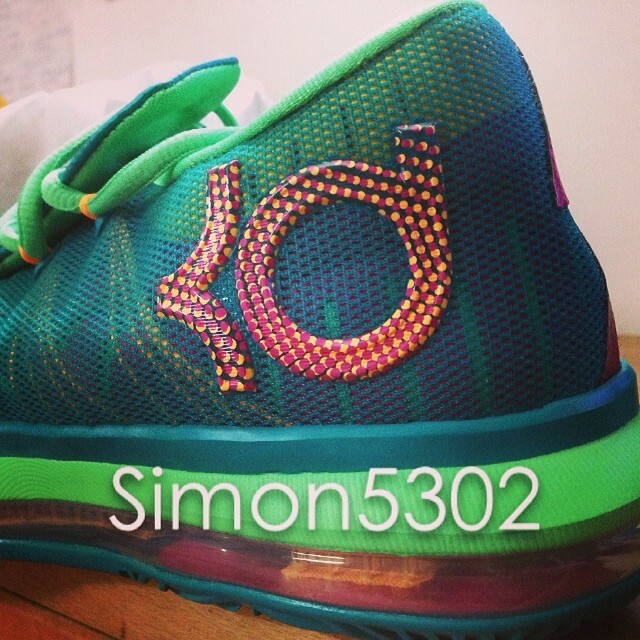 The 'Turbo Green' KD 6 Elite will release Friday, May 9 for $200 at select Nike retailers.